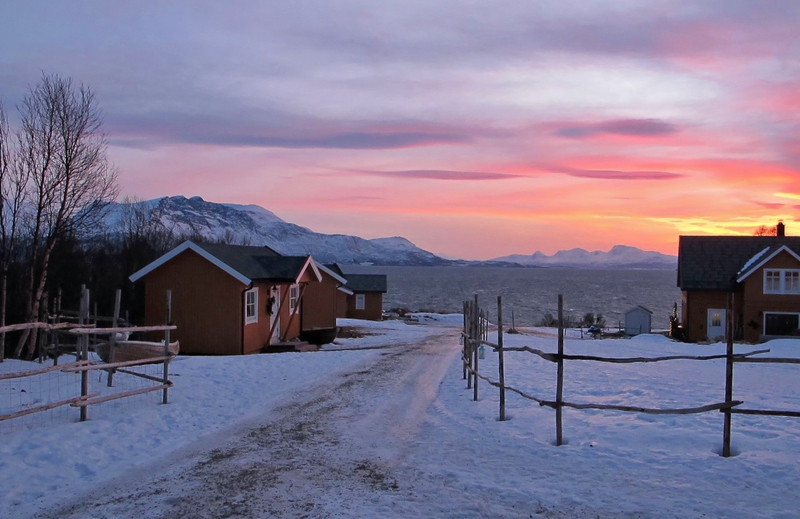 Yggdrasiltunet Bed & Breakfast on the island of Kvaløya in Northern Norway. 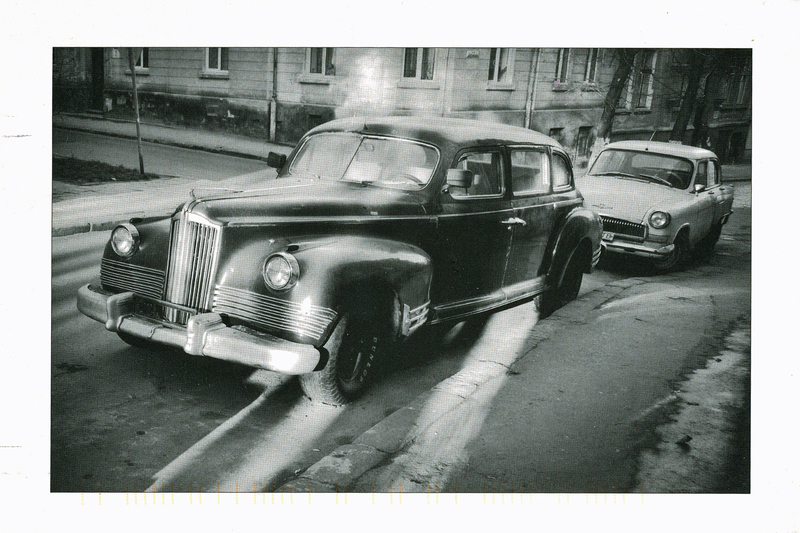 This weeks “Postcard of the Week” is a view of old cars. It was mailed to me by Ola who lives in the western Ukrainian city of Lviv on February 25th 2013. This postcard traveled 4,473. 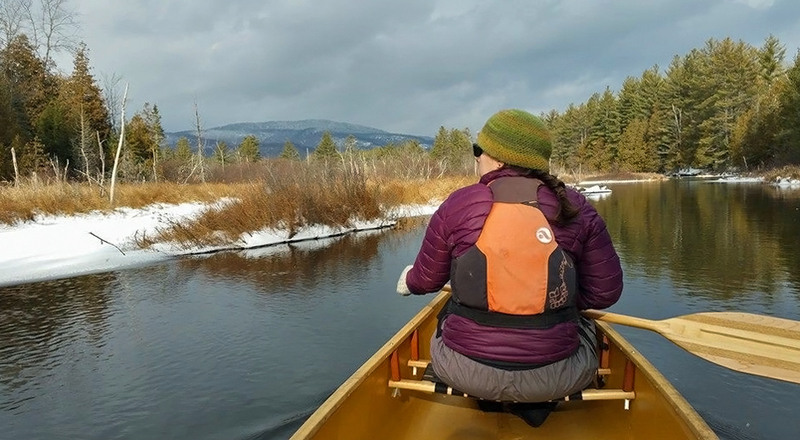 Chad Smith and his Wife Emily paddle their canoe along Minerva stream in the Adirondacks on January 1st 2016. This weeks “Photo of the Week” comes from Chad Smith of the Adirondack Canoe Company in Minerva, NY. On January 1st 2016 Chad and his wife Emily paddle into the New Year along Minerva Stream. Their canoe is a light weight 16′ long 32″ wide kevlar tandem canoe called the “Tamarac”. 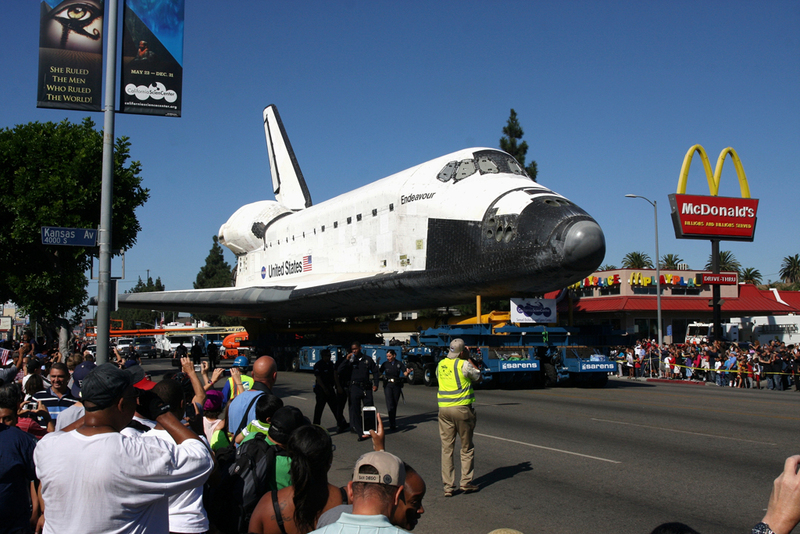 Space Shuttle “Endeavor” makes its final journey as it navigates Martin Luther King Jr. Blvd in Los Angeles, California on October 14th 2009 en-route to the California Science Center where it will be on permanent display. 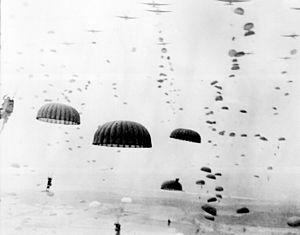 This weeks “Photo of the Week” comes from Charles Freericks of Santa Monica, California. Wishing our family and friends a Happy & Healthy New Year! 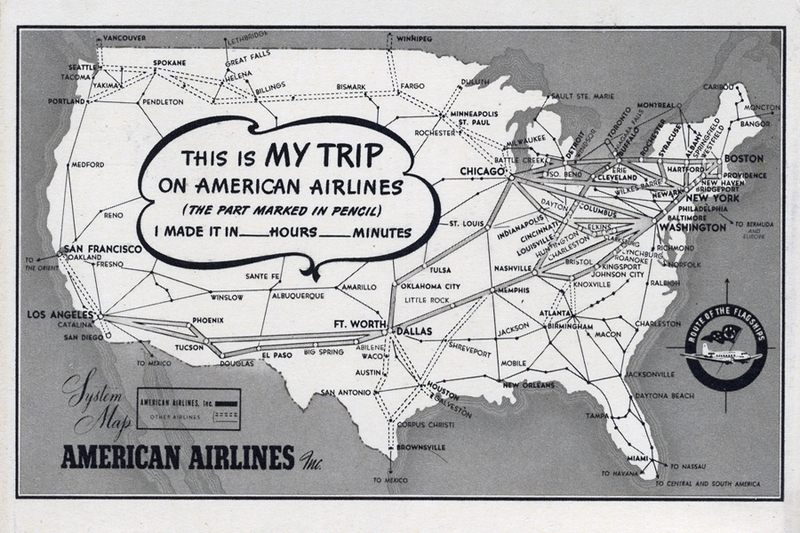 Vintage 1942 American Airlines route map postcard.